Comfortable in use gas tanks from «Antonio Merloni» are maintenance-friendly and don’t require regular charge by gas. 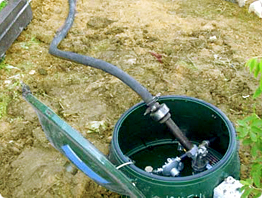 Filling-up of the cistern by gas is less anxious than permanent gas cylinders change or maintenance of stove heating. 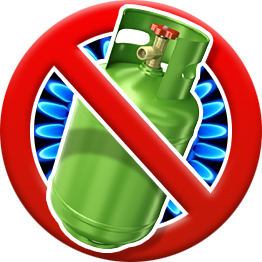 Independent gas tank will «ask» for charge once or twice a year depending on gas consumption which depends on the thermal losses of the house, the type of gas equipment, the quantity of gas consumers. What should we do if we need a charge? Step 1: Call your sales agent or manager in the head office of GC «Terrikom». Make a request. Step 2: Clear a passage to the gas tank and wait an arrival of gas carrier. If gas is available the vehicle will arrive the next day. Step 3: Pay the charge after the cistern will be fulfilled by liquefied petroleum gas through filling valve. Step 4: Forget about the charge of the gas tank for a half a year minimum. To provide continuous gasification of the house we recommend you to charge the cistern in advance without waiting complete gas supply stop.